Carol J. Steed-Williams, 84, formerly of Baker Estates, died Monday Aug, 27, 2018, in Heritage Village Rehab and Skilled Nursing. An area resident all of her life, she was born May 23, 1934, in Jamestown, a daughter of the late Hilmer and Genevieve Sturdevant Johnson. She was a 1952 graduate of Jamestown High School and later graduated from WCA Hospital School of Nursing. She was employed by WCA Hospital for 38 years as a registered nurse retiring as head nurse in the pediatrics department. 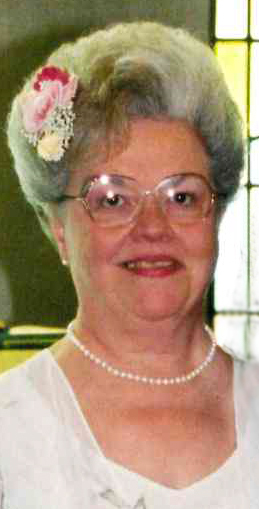 She was a lifelong member of First Lutheran Church. Her other memberships include Lakewood Rod and Gun Auxiliary, WCA Alumni Association, Harmony Senior Citizens and Christian Women’s Association. Carol and her husband always attended any activity which involved their grandchildren including sports, music or soap box derby. She enjoyed craft shows, senior citizen trips, flowers, gardening, Jamestown Audubon and cheering on the Buffalo Sabres. Surviving are her husband, Richard Williams, whom, she married in February of 2001; five children: Patricia (Bob Gilray) Higley of Dayton, N.Y., James Norene of Texas, Hugh “Bud” (Priscilla) Steed of Jamestown, Kristine (Michael) McGuire of Buffalo and David Steed of Jamestown; three stepsons: John (Debbie) Williams of Jamestown, Timothy (Denise) Williams of Mooresville, N.C., and David (Carla) Williams of Williamson, N.Y.; and several grandchildren, great-grandchildren, nieces and nephews. Besides her parents, she was preceded in death by her husband, Hugh Steed; two sons: John and Doug Steed’ and a sister, Shirley Johnson. The funeral will be held at 11 a.m. Thursday in Memorial Chapel of First Lutheran Church. The Rev. Daniel K. Nagle will officiate. Friends will be received from 4-7 p.m. Wednesday in the Lind Funeral Home. You may leave words of condolence at www.lind funeralhome.com.